How do You Know If You Have Great Gut Health? Home → Digestive Health → How do You Know If You Have Great Gut Health? How do you know if you have a perfect gut? I get asked this question a lot. 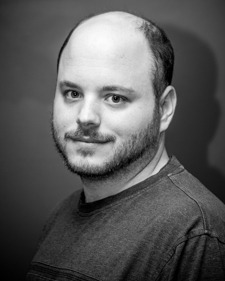 On forums, by coaching clients, and on podcasts. No one knows. 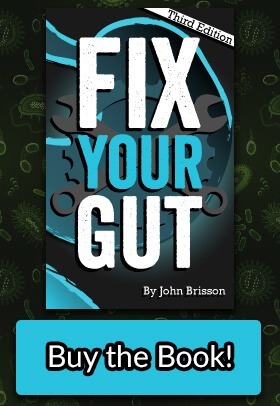 We know so little about the gut flora and gut bacteria we honestly have no idea. We know that some bacteria tend to want to have more of a commensal relationship with us, Lactobacillus and Bifidobacterium for example. People with guts that have greater diversity seem to have less digestive issues. Most microorganisms however, can turn on us and become opportunistic at any time. I do, however, believe there are a few things that might point that your gut may not be in good enough shape as it appears to be. Simply put, if anyone relies on probiotics or prebiotics frequently to relieve their digestive problems, then they have an underlying health problem that is not being properly addressed. ost people should only take probiotics occasionally after a protocol, or occasionally during (if they are hospitalized) / after they have taken an antibiotic long term. Probiotics should not be taken for a long time unless medically necessary. Probiotics that are used every day may cause SIBO in some people even if they are healthy. If something hinders their MMC (medicine, stress, diet) the extra bacteria in the large intestine might be swept back into the small intestine or are not properly flushed out of the small intestine following digestion. Also, people who take probiotics regularly might suffer from serious health problems if they have a sudden medical emergency, or their immune system becomes compromised. Periodic ingestion of prebiotics and fermented foods should be all most people need to do to keep their gut flora optimal, for the most part. Probiotics and prebiotics should be used as a supplementary tool to improve your digestive health, not your holy grail. I know this statement is totally against mainstream alternative medicine. Your body can replenish flora most of the time on its own after taking antibiotics. Replenishment of flora is more likely to occur in a positive manner if you are in overall good health and completely eliminated opportunistic infections. Your gut flora might not be the same after using an antibiotic, but this is not always bad. If it were, EVERYONE, would be walking around with digestive disorders who used antibiotics. It is also possible that your bacterial floral balance was in a bad way before you took antibiotics, and your body was able to correct itself afterwards. You can try to supplement with prebiotics after antibiotics. Sometimes supplementation of prebiotics can help restore proper flora (other times it causes more issues by growing more opportunistic strains.) Of course, all of this does not mean that digestive issues do not occur because of antibiotics and that probiotics and prebiotics have no use for people who have digestive issues after using antibiotics. All I am advocating for is more caution when supplementing with probiotics and using a large amount of prebiotics after taking antibiotics. Ingestion of properly prepared fermented food or taking a GOS supplement are the most important actions one can do to improve their gut microbiome after taking antibiotics instead of taking a probiotic supplement. Overuse of probiotics and prebiotics may cause SIBO. SIBO most of the time occurs because of a poor functioning MMC and not because of directly supplementing with prebiotics and probiotics themselves. 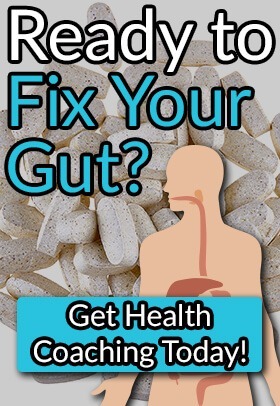 You may introduce the wrong “probiotic” bacteria to your gut flora, and that may cause even more digestive issues. 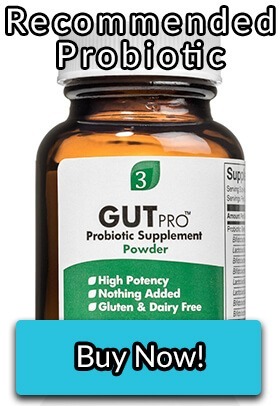 Supplementing with probiotics is a coin flip. The information in this blog might help you make better choices when it comes to improving your digestive health, but even what seems like the best choice at the time may go wrong. Any probiotic can become opportunistic, anytime. Probiotics for most people should not be used every day and should only be supplemented when they are needed the most. Probiotics should not be seen as completely harmless, and caution should be used when supplemented to help support a healthy gut flora. LOL with the Michael Pollen 21 hour lecture seires! Actually that does sound good. But I guess we can’t snack during it .I’m with you on the food combining thing. The more faddy and exclusive we get with our food the further away we get eating real food and enjoying life. Call me old fashioned but smaller portions of all but veg suits most people.